While casual consumers may go to great lengths to prevent themselves from spilling even a glass of water on their computer hardware, administrators at the Tokyo Institute of Technology harbor no such concerns. In fact, the institute has implemented a new practice in which they have begun to submerge some of their high-tech supercomputers in cooling mineral oil. Japan, which was hit hard by an earthquake and tsunami in 2011, followed by a subsequent nuclear plant meltdown, knows all too well the foils of a tumultuous environment. Thus, the country finds itself at the forefront of solving perhaps the biggest problem of the digital economy, namely the difficulty in cooling energy-eating supercomputers and servers. Some corporate data centers post annual electric bills in the hundreds of millions, primarily to run the air conditioning that cools their computer hardware. 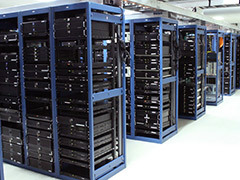 Curbing the amount of energy used by supercomputers has the potential to considerably reduce the overall environmental impact of these machines. But companies like Green Revolution Cooling, which developed the mineral oil cooling technology, or Iceotope, an English company that uses liquid fluoroplastic, are committed to the far more environmentally friendly technique of simply submerging the devices. Since neither of the substances used by these companies are good conductors of electricity, there is little to no risk of damaging the equipment by submerging it. In fact, Intel ran a one-year study of one of the devices cooled by Green Revolution, and there was no damage found. Incredibly, a submerged Japanese supercomputer has already been demonstrated using less than half the amount of energy to perform the same number of calculations as its uncooled, Chinese counterpart, leading to high hopes for the new technology. It seems the future of supercomputers and data centers may be far cooler than anyone could have expected. Posted on February 28th under Global Ecology.